Last week, Canadian-Ukrainian dream-pop duo Ummagma released a beautiful video for their newest single “Galacticon.” The video features stunning aerial footage taken over the western Ukrainian town of Kremenets. “Galacticon” is from their latest EP Frequency, which was released last December. Frequency follows up Ummagma’s 2012 independently released LPs Ummagma and Antigravity, and their 2013 EP Split, which was created with Finland’s Virta. Ummagma formed in 2003 when Alexander Kretov and Shauna McLarnon met in Moscow. Kretov, who is originally from Kremenets, began making music as a child. McLarnon, who grew up in the Canadian Yukon, began songwriting while travelling across Northern Canada and Russia. When the duo met at a concert, Kretov was a solo guitarist and McLarnon was singing acapella and working with various musicians in Moscow. 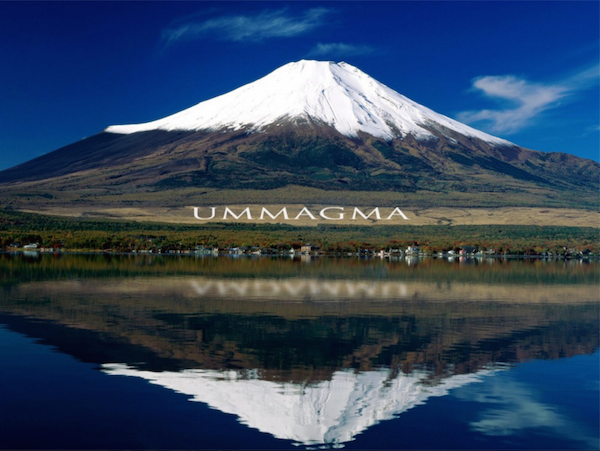 Ummagma formed from that faithful meeting, and since then the duo have won several awards, their music has held key spots on various charts, and the band was nominated for CBC Radio Canada’s “Rookie of the Year” Bucky Award 2012.